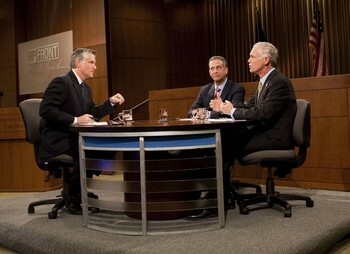 On November 7, 2010, Senator-elect Ron Johnson was a guest on “Up Front with Mike Gousha.” He made a comment that hit the heart of an issue I have often pondered. This past summer, I had the opportunity to clerk for a law firm that handles primarily medical malpractice actions. So, this conversation sparked my interest. Mr. Johnson referred to “Tort Reform” and the frivolous lawsuits against medical professionals. He said that an estimated $2-3 billion dollars was spent on frivolous suits that have forced doctors to practice “defensive medicine” in Wisconsin. Whether accurate or not that number has raised eyebrows. The healthcare crisis facing our nation seems to be the driving forces behind the particular interest in frivolous (or at the least possibly frivolous) medical malpractice actions. What is tort reform? Generally, tort reform seeks to limit the costs associated with medical malpractice claims by adopting statutory or other regulatory law to limit civil liability. The primary goals are to limit (1) who can be found liable, (2) when they can be found liable, (3) how much they may be liable for, and (4) to whom they must pay. One common approach is to cap noneconomic damages that the healthcare provider must pay. In Wisconsin, for example, the noneconomic damages are currently capped at $750,000 per occurrence. Wis. Stat. §893.55(d)(1) (2010). In 2005, however, the Wisconsin Supreme Court held in Ferdon v. Wisconsin Patients Compensation Fund that a $350,000 cap on noneconomic damages was unconstitutional. Are medical malpractice claims really a driving force in the healthcare crisis? 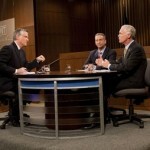 Or, could the healthcare crisis be driving medical malpractice tort reform? Here are a few positions that I found to lay a baseline framework to examine a question that might never be accurately answered. In terms of direct costs, medical malpractice insurance adds relatively little to the cost of health care. According to the National Association of Insurance Commissioners (NAIC), medical malpractice premiums written in 2008 totaled approximately $11.2 billion, while health expenditures are estimated by the Congressional Budget Office (CBO) to total $2.6 trillion. Indirect costs, particularly increased utilization of tests and procedures by physicians to protect against future lawsuits (‘defensive medicine’), have been estimated to be much higher than direct premiums. These conclusions, however, are controversial, in part because synthesis studies have claimed that national estimates of defensive medicine are unreliable. Health care costs more in the United States than anywhere else on earth. It’s not even close. We spend almost twice as much as the average of developed countries, and almost forty percent more than the second most costly country, which is France. This would make sense, if we were healthier as a result. Unfortunately, we are not. We get chronic diseases at least as often as citizens of other countries, we rank 38th in life expectancy, and our infant mortality rate is number 33. The highest life expectancy in the world is in Japan, which spends about half per person what we do on health care. Something is driving up costs in the United States, and it is not an expense that gives us better health. So, why does American health care cost so much? Many people point to malpractice liability as the culprit. We are definitely the most litigious country. However, direct costs of medical malpractice amount to only about one percent of total system expenses. The bill is higher if you also consider the cost of defensive medicine, which is the extra tests that some physicians order to try to protect themselves from lawsuits, but no one knows by how much. Even the highest estimates put the cost of defensive medicine at less than three percent of the total – a large number but hardly enough to account for the high system cost alone. Congress must give states the incentive to reform their civil justice systems so that lawyers will think twice before suing doctors for frivolous cases. These reforms would allow doctors to stop playing defense, and make it possible for patients and taxpayers to better afford health care. Is Tort Reform the answer? Or, should we be spending our time and money on healthy lifestyle advocacy or preventative care programs? Maybe . . . but that’s a job for another day. Interesting article. One way for a business to hold down health care costs is to use prison labor, like Ron Johnson does. Much like the military in the 1980’s with it’s $800 hammers, $1,000 toilet seats and $20,000 coffee makers, today’s Health-Care industrial complex is crushing the American economy with extravagant costs that make lawyers look like pikers. $10 for a single aspirin, $50 for pair of rubber gloves, $250 for an x-ray. Not only are the prices doctors and hospitals charge unconscionable, they refuse to disclose their prices. If you want to comparison shop you are out of luck. Doctors and hospitals are in the business of treating sick people, not keeping people healthy in the first place. Healthy people are bad for their business. “Tort reform” is a direct assault on “capitalism.” What they want is the ability to make unlimited profits while capping their damages at trivial, nuisance levels. That’s called “socialism.” The only people who favor caps are those who directly profit from them and those fed a steady diet of misinformation. Imagine if lawyers asked for malpractice caps? The public would go berserk. Every major country in the world has a health care system that costs far less than ours and covers more people. Looking at the World Health Organization rankings, the US comes in far down the list of healthy people and life expectancy. We pay the most and receive the least in return. If only all of us could hire prison labor like Ron Johnson and thus save a great deal of money. Very thoughtful post- I don’t think there are any easy answers to this problem but thinking about it as you’ve challenged us to do is a good start. I commend you for this thought-provoking, well-written article, Sarah. It’s a topic worth discussing but all too often only one side is heard. That side does not play fair. Today it was revealed that health insurance companies banded together in 2007 to smear Micheal Moore’s movie “Sicko.” More recently they funneled $87 million through the Chamber of Commerce to defeat health care reform. Instead of single-payer, with limits on liability, we now have a government mandate to buy insurance from companies that have been unfairly attacking lawyers for decades. I think most people would prefer to buy reasonably priced health care rather than expensive insurance. Why does medicine that costs $100 in Canada cost $700 here? Because the law requires it. Such laws cannot be in the public interest. Just as offensive is the demonizing of lawyers. As a Marquette lawyer, I resent how the term “trial lawyer” has become an epithet. It grew out of the “tort reform” movement. By attacking lawyers, doctors, insurance companies, politicians and even some other lawyers were able to shift the public debate on blame for negligence from the tortfeasor to the victim! Once the victim is defined as the wrongdoer, calls for liability caps become all that much easier to obtain. If it sounds crazy it is. But when money is the issue, crazy becomes normal. Next Next post: Criminal Court: Guilty by the Preponderance of the Evidence?